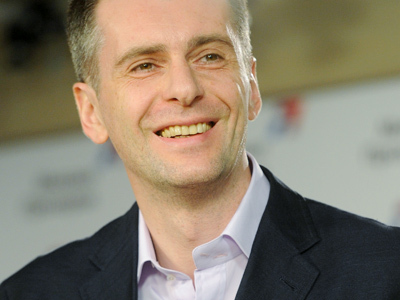 Major Russian political scientists say the relatively high result of political freshman Mikhail Prokhorov could signal the start of a long and successful career. One of Prokhorov’s key supporters, journalist Aleksandr Lyubimov, said the high result – according to preliminary reports Prokhorov comes in third, with over seven per cent of votes – speaks for the fact that Prokhorov has established himself on the political arena and could, with time, become the national leader, just like Vladimir Putin is now. 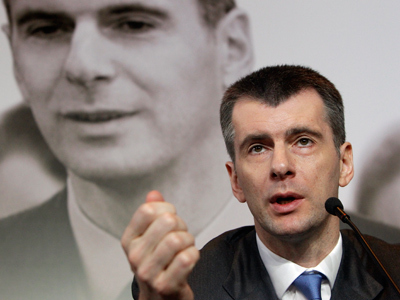 Prokhorov himself told his supporters that he was not going to quit politics, and would stay for a long time as he never quit anything that was only half-done. “I am very happy that I managed to outpace Gennady Zyuganov, as this is the start of the building of a new political system,” Prokhorov noted. He reminded everyone of his plans to launch a new political party and repeated that he would not to take a government post in Vladimir Putin’s presidency. 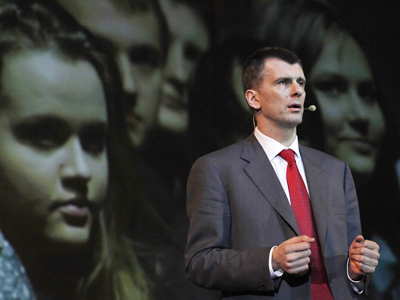 Besides, Prokhorov said that while he was in favor of all forms of civic activism, he strictly opposed revolutionary actions. Interestingly, election winner Vladimir Putin called Prokhorov soon after the end of voting and wished him luck in his future political career. “Before I called you I was talking to journalists about the possibility to start one more rightist party. I wish you luck,” Putin told his former rival. 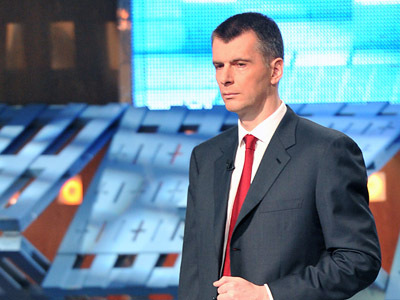 Other analysts agreed that Prokhorov’s performance was strikingly good, but did not hurry to raise the billionaire politician to Putin’s level. 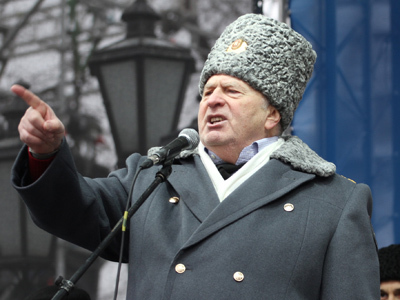 “We can recall Zhirinovsky’s result in the 1993 presidential elections, when he came in third after Yeltsin and Rutskoy. This was the start for Zhirinovsky to enter the Russian political elite. Everyone knew they could deal with him as he was a political figure, not simply a clown who is shocking the public,” RIA Novosti quoted political scientist Pavel Svyatenkov as saying. Svyatenkov added that he deemed it possible that Prokhorov would create his own parliamentary faction after the next State Duma elections. Political expert Vladimir Slatinov agreed that Prokhorov’s result was sensational, and called him “the new political star of the national level.” Slatinov added that Prokhorov used the election as a powerful political tool and achieved the high result in the minimum possible time. Director of the National Strategy Institute think tank Stanislav Belkovsky told RIA Novosti that Prokhorov’s victory over Zhirinovsky was a crucial point that will allow the businessman to remain in politics and even take some part in the newly formed government (even though Prokhorov repeatedly rejected such a possibility). Belkovsky noted that Prokhorov’s success can be explained by the fact that many voters were tired of seeing the same old personalities, such as Zyuganov or Zhirinovsky, and voted for someone new even though they saw no particular benefits in him as a politician.